Earlier this year, Taste of the Nation brought together about 50 restaurants, chefs and mixologists and raised $150,000 to benefit local charities. Interested in volunteering for next year's Taste of the Nation? The DC committee chairs for Share Our Strength’s Taste of the Nation are hosting an informative volunteer recruitment happy hour at PS 7’s, Wednesday, Sept. 9 from 6-8 p.m. Snack on complimentary hors d’oeuvres and sip on special select $4 wines and $3 beers, while learning more about Taste of the Nation and volunteering on the 2010 planning committee. 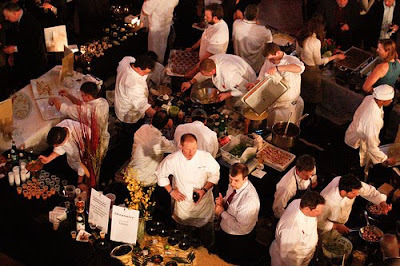 Taste of the Nation 2010 is scheduled for Monday, April 12 at the National Building Museum.